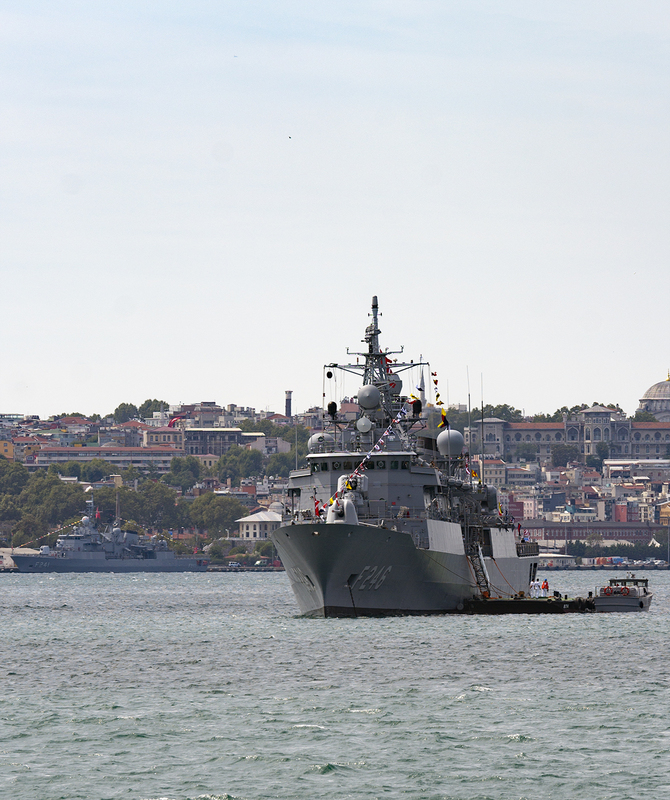 F-241 TCG Turgutreis left and F-246 TCG Salihreis right in Istanbul to commemorate Victory Day. We are grateful to those who paid the ultimate price for our independence and for our country. This year we celebrate the 95th anniversary of the victory in the Battle of Dumlupınar, the final battle in the Turkish War of Independence in 1922. The Battle of Dumlupınar was fought from 26 August to 30 August 1922, at the end of the battle the invading Greek Army was definitely and distinctively beaten and the almost all the invading foreign forces were repelled. This victory opened the way of the independent Turkish Republic, which is more valuable to us than anything else.